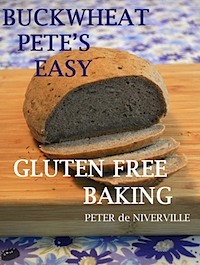 Buckwheat Pete's Easy Gluten Free Baking: No Corn, Soy, Milk or Eggs ebook was launched on Wed. Feb. 25, 2015 on Kobo.com. Writing under the name of Buckwheat Pete, Peter de Niverville, features 8 original recipes in this new cookbook. 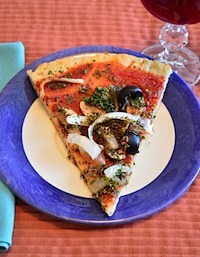 From bread and bagels, to rolls, pitas and a crispy pizza crust each recipe has been recently revised and tested by the author. Using a step-by-step approach, Mr. de Niverville guides the reader through his unique technique. Mr. de Niverville explains, "The major problem in using gluten free flours is that they have a tendency to be dry and crumbly. By properly preparing the tapioca first then adding it to the buckwheat flour mixture, you can bake bread that is surprisingly moist and tasty." For more information go to www.buckwheatpete.com.